I have a free game for you to print and use. It will help with counting and sorting review. 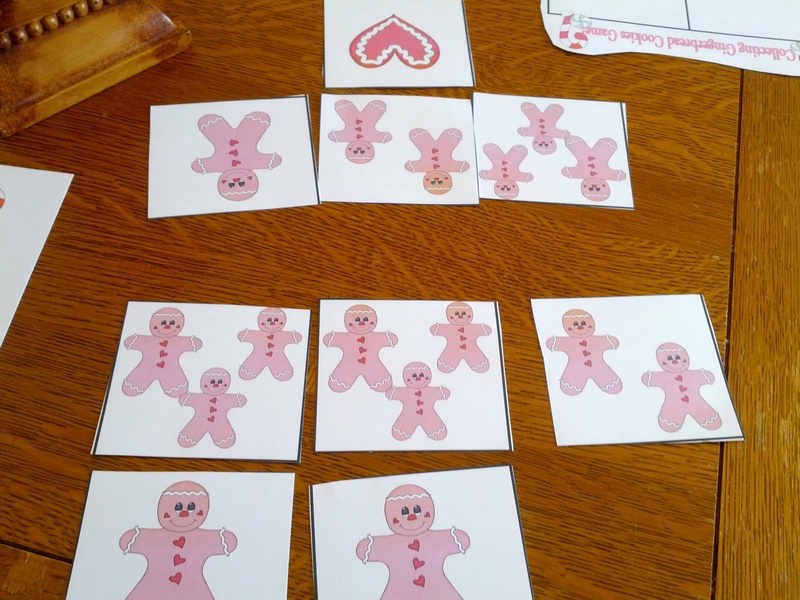 The object is to collect as many Gingerbread Men as you can. Shuffle cards face down in center of two to four players. Players take turns drawing one card. If they draw a gingerbread man card they keep the card. If they draw a heart card, they keep that card. 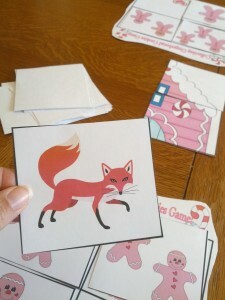 If they draw a fox, they must put all the gingerbread and heart cards they have collected back into the pile. 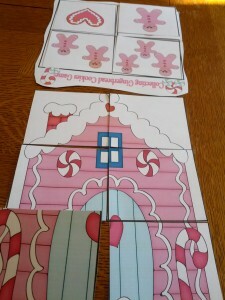 If they draw part of the house, they place it face up in the center so that players can build the puzzle as they play. 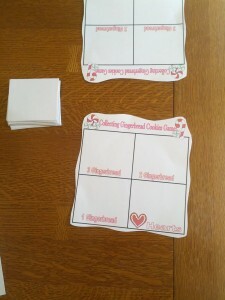 *OPTIONAL—Page 7 includes a sorting card you can use if you choose. Give each player a sorting card to lay the cards they collect as they play. This is an optional card and does not need to me used to play. Click to download Gingerbread Counting Game! Shop our store and support Teaching Heart! 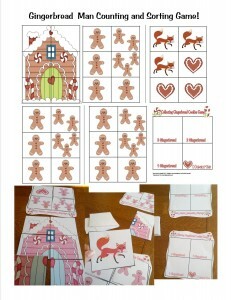 http://www.e-junkie.com/teachingheart - Lots of Gingerbread Resources! !